Collections include historical clothing, objects from Corowa’s first 150 years, agricultural equipment, a blacksmith’s shop, saddlery, old medical and dental equipment and a mint condition, 1929 A Model Ford car. The personalities that played key roles in developing Federation. Australia’s iconic painting was painted at Brocklesby Station near Corowa in 1890. 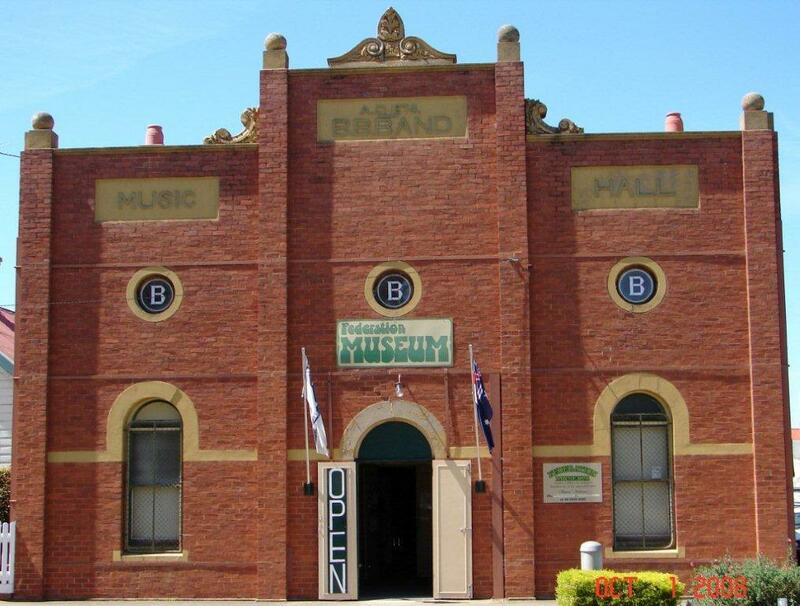 Corowa’s Federation Museum tells the exciting story of Australia’s historical progress from being a group of independent, uncooperative colonies through to their people voting to form a unified Federation. 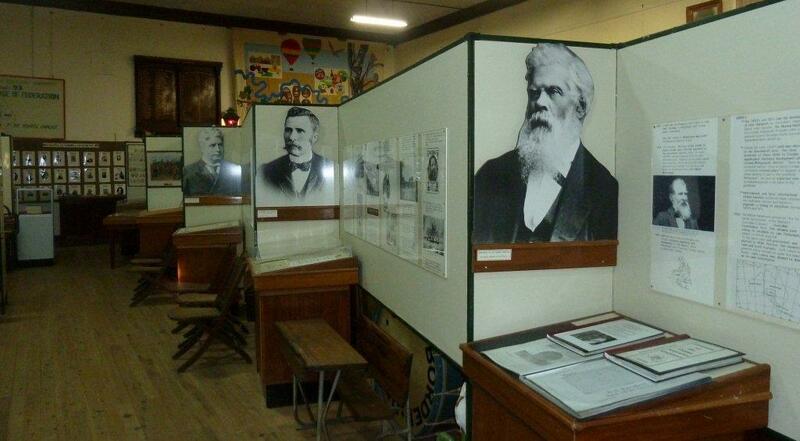 The critical role that the ‘break through’ 1893 Corowa Conference, played in this outcome, resulted in Corowa being recognized nationally as ‘The Birthplace of Federation’. 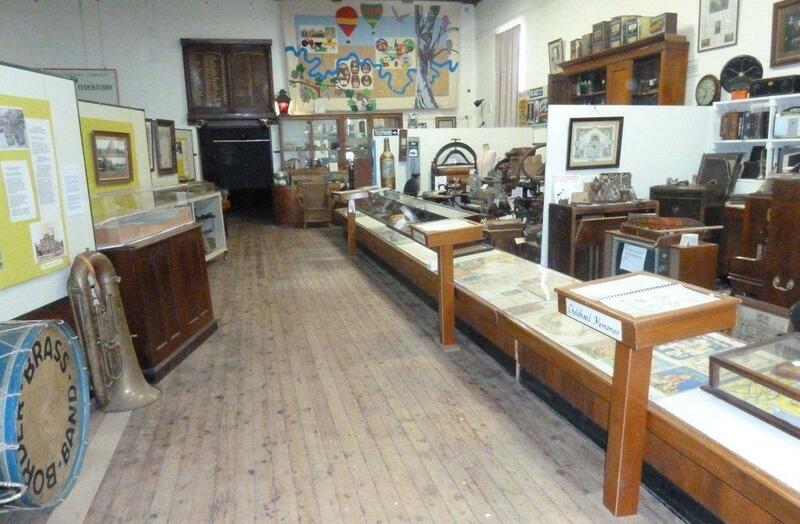 On a walk down Corowa’s main street you will see that the extensive Federation Display in the Museum, is complemented by two major Historical Timelines and fourteen Historical Plaques, all designed by Museum Volunteers. Australia’s iconic painting, Tom Roberts’ ‘Shearing The Rams’ was painted at Brocklesby Station near Corowa in 1890. A copy of the painting, together with details of its genesis and the personalities depicted, are featured near our Shearing Shed display. We proudly display several high-quality photographic facsimilies of works by Tommy McCrae, a local 19th century aboriginal artist, now nationally recognised whose works we have in our collection. Becasue of the high market value of these works, and their uniqueness, the orginals are kept in off-site secure premises. Other significant displays include Historical Clothing, Life through Corowa’s First 150 years, Agricultural Equipment, a Blacksmith’s Shop, Saddlery, old Medical & Dental equipment and a mint condition, 1929 A Model Ford car.